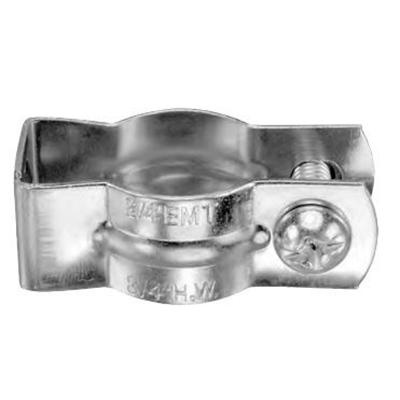 AMFI Conduit hanger features bright electrozinc finish that resist corrosion. This conduit hanger with nut and bolt accelerates installation. It is suitable for EMT/rigid conduit of trade size 3/4-Inch. Conduit hanger is UL/cULus listed.